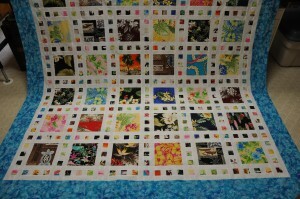 I finished my Hawaiian Slide Show quilt to the flimsy stage. 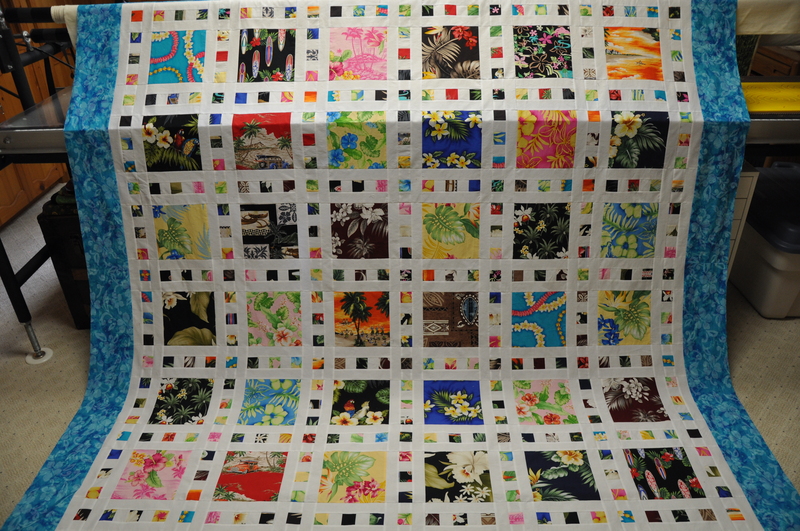 This is a queen size quilt. It is too large to get the whole quilt in one shot indoors, so here are a couple of shots of it laying across the roller of the long arm. 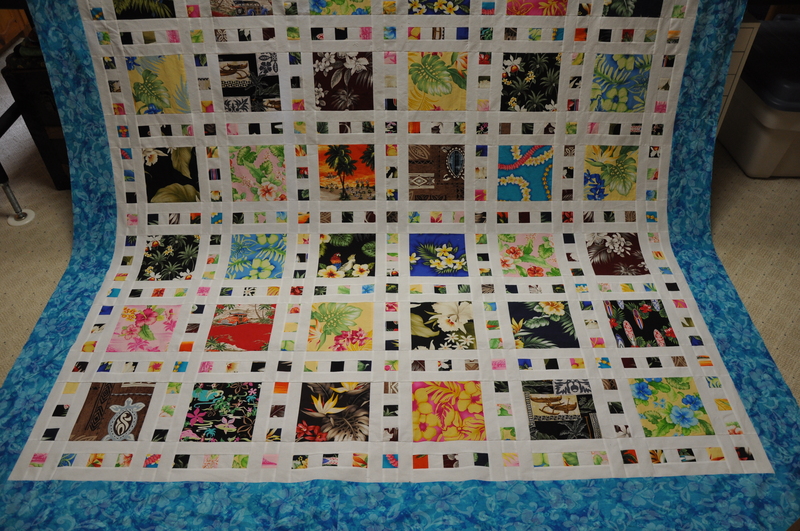 The quilt pattern is from my favorite designer, Terry Atkinson and it is called Slide Show. My design wall is now empty so I have room to play with the layout of the next project. This entry was posted in atkinson, Hawaii, slide show by Norma Hanson. Bookmark the permalink. This is gorgeous! 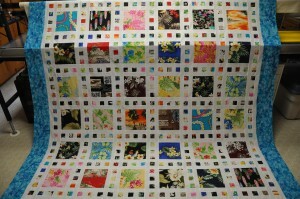 Now you will have some memories of your trip that you can see in a tangible way instead of stacked in the sewing room. The blue really sets off the slide “cells” Glad that you have the design wall free so you can decide how to sash your stitchery project. Woohoo for getting it to this point! !